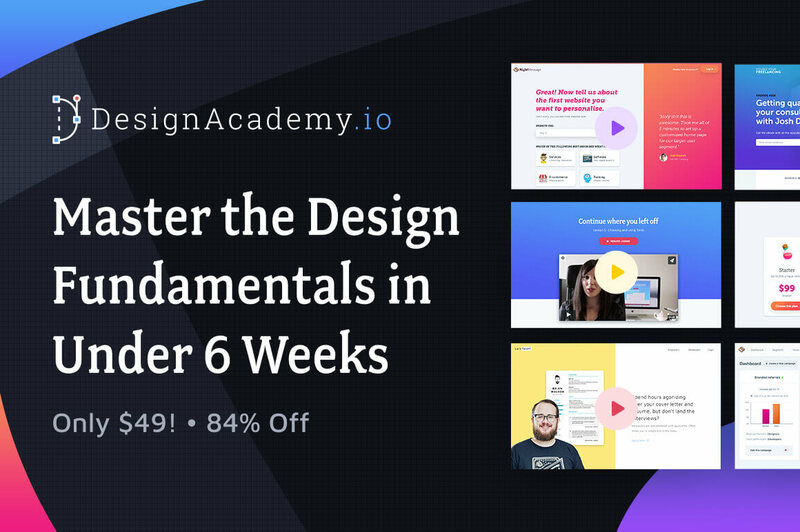 Master the Design Fundamentals in Under 6 Weeks - only $49! 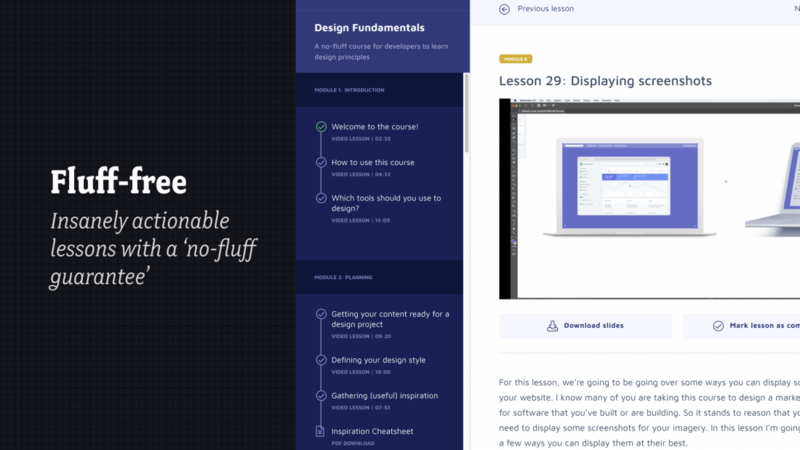 This no-fluff course for developers will teach you how to master the fundamentals of design in less than 6 weeks! 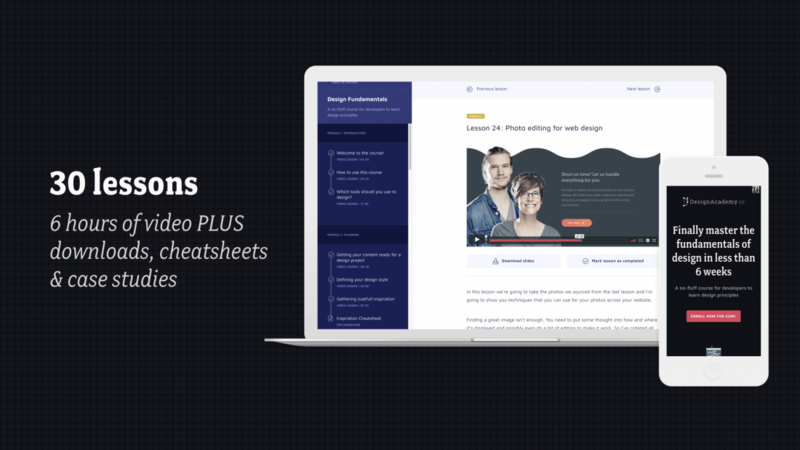 This online course gives you a lifetime access to 30 in-depth videos covering 6 unique modules from planning to imagery to polish. Email accountability keeps you on track, and worksheets, cheatsheets and access to a private Facebook group for peer critiques all give you the support you need to succeed. 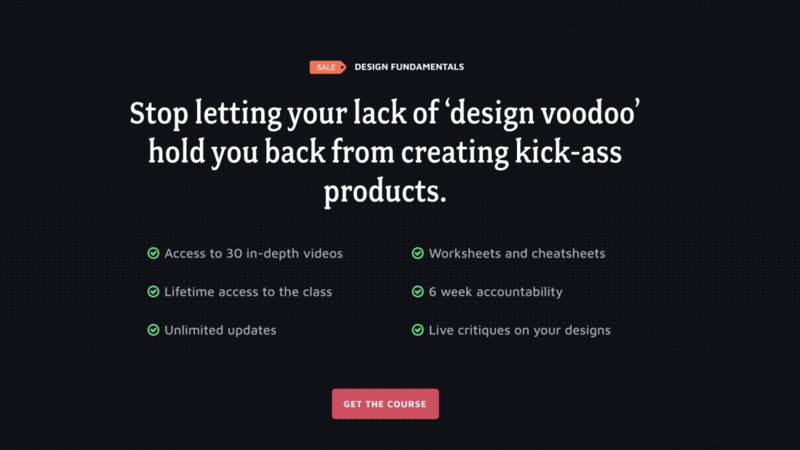 Master fundamentals of design in under 6 weeks. 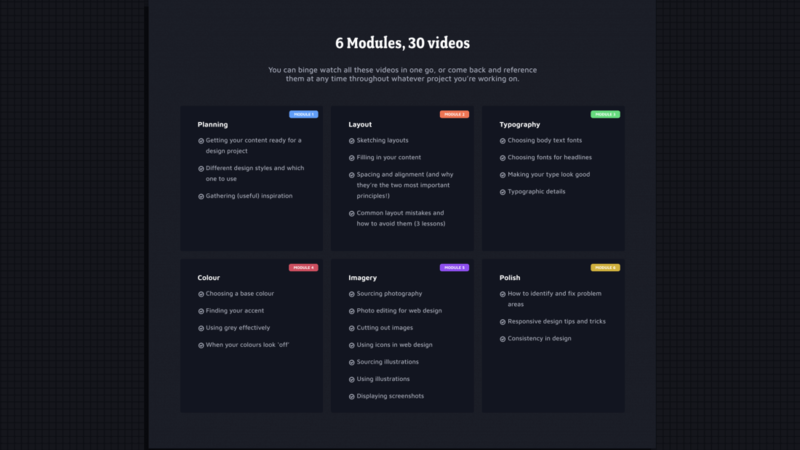 6 key modules - Planning, Layout, Typography, Color, Imagery and Polish. Worksheets and cheat sheets help you soak in what you're learning. Learn at your own pace - lifetime access. Laura Elizabeth has been a designer for almost a decade. She worked on projects for HelpSpot, LaraTalent, RightMessage and Double Your Freelancing. She also speaks at numerous conferences around the world - SmashingConf, Laracon, LTV Conf, Patterns Day and many more. 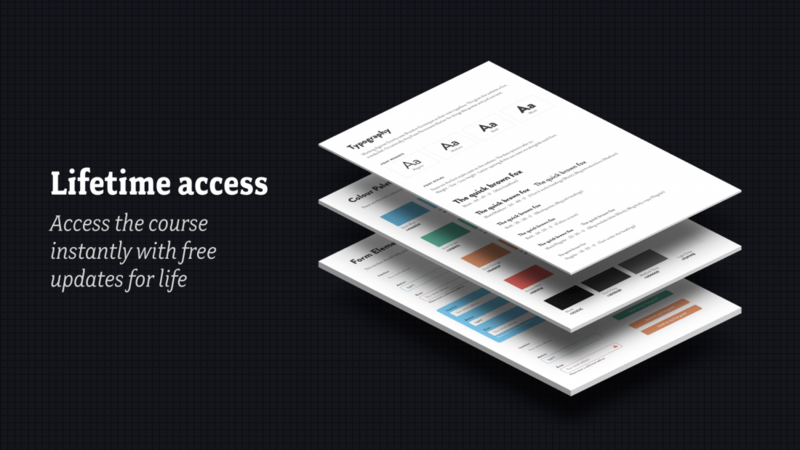 Normally this design class sells for $300 but for a limited time only, you can get lifetime access to the Design Fundamentals course for only $49. That's a huge savings of 84% off the regular price. Click the BUY NOW button to start learning today! After completing your purchase, you will be provided with a coupon code to register at the vendor's website, to gain access to these courses. You will need to provide your name and email address to register for the course. The videos are available as a streaming content which require an Internet connection. Includes lifetime access to the courses. You must redeem the course within 90 days of purchasing. This offer does not include live critiques by the creator but you may get feedback on your work from other students in the Facebook group. This offer is for the basic package only. This will include the videos, PDF downloads, Facebook group, and accountability emails.